Compassites is the name that stands at the zenith when it comes to creating game-changing and well-defined digital experiences. We harness the power of digital services, and combined with our in-depth experience over the years, we provide our clients with customized solutions and a promising sustainability in a dynamic environment. 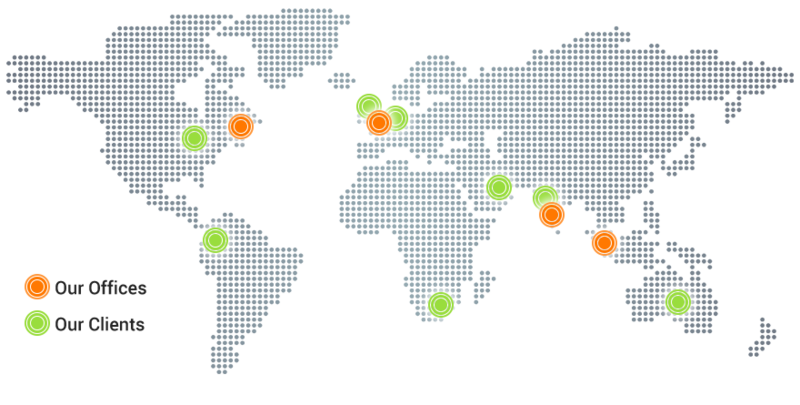 Today, Compassites has evolved into a trusted technology partner for several global companies in different fields. By incubating over 20 startups, and dealing with multiple large scale companies, we’ve helped the companies witness nothing, but just growth. Suggestica was not just a project for them. They poured their passion along with hard work into it and we could feel it! Compassites hit the ground running with me and challenged some of my thinking during the interactive design and build process. I was very happy with the working prototype they built for me. We worked well together as partners. They have the same excitement and passion about my company as I would expect of my own staff. iCharts has been leveraging Compassites, which helped iCharts launch its initial product offering, as its key partner for R&D. Not only has Compassites proven to be a highly reliable and dedicated partner, but it also has been more than essential in helping iCharts deliver a robust and world-class product. Compassites’ partnering model has proven to be a very effective and intelligent way of helping startups like iCharts get off the ground. Great bunch of guys to work with. What could not have been achieved by other vendors for years, Compassites could crack it in less than 4 months. We plan to work with Compassites for futher enchancement of our product. The client handling has been exceptional, always responding to the need of the hour. The team has always delivered when the project schedule had real tough deadlines to deliver, by taking into account the methodology of Agile. It has been a great experience to work with Compassites. Our new web portal has come out very well and will go live soon. The Compassites team has been very responsive and used the right set of technologies to deliver the product. I know last week was a really hectic and crucial week for the future scalability and speed of TM. I saw the intensity with which the team worked to test and move TM to the new infrastructure. I especially want to recognize those of you who spent all of Saturday in the office on what I hear was a monumental team effort. Recommend these guys to those in search of fresh ideas, quality products and excellent customer support. I’m their regular client and this is one of my best decisions.